Our amazing couple from the USA – it was an honour to film Teesta & Arun’s special day at one of central London’s most iconic hotels, The Waldorf Hilton in central London. Teesta & Arun contacted us from America back in early 2017 and planned to have their wedding events in London. We were excited to capture their Sikh wedding ceremony at Brent Sikh Centre followed by their lavish and luxurious wedding reception in the heart of London at one of central London’s iconic wedding venues. It was a pleasure to work alongside some of the best wedding suppliers in the wedding industry, including luxury Asian wedding photographers Sikh & Dread who delivered some stunning wedding photography coverage. Check out Teesta & Arun’s wedding video highlights. The best Asian wedding videography can sometimes be captured at stunning Wedding venues such as Hagley, Hall. Amit & Setal asked The Video Hub to capture their Indian Wedding in this unique cinematic style and Hagley Hall was a perfect place to create a luxury Asian wedding film. Amit & Setal were an amazing couple to work with and The Video Hub’s approach to luxury Indian weddings ticked the box to create some stunning video. The Asian wedding started with bridal and groom portraits in the morning following by a Hindu ceremony and luxury reception. As experienced Asian Wedding filmmakers based in Birmingham and London, executing the client’s expectations to create luxury wedding video is about understanding the clients needs. If you would like to find out more how The Video Hub can film your Asian wedding please do get in touch! The ever so lovely Mr & Mrs Dosanjh – another wonderful Asian wedding we had the opportunity to film. For Arron and Nav’s Sikh wedding, we filmed their Anand Karaj at Guru Nanak Gurdwara Smethwick and their lavish reception at the beautiful and exclusive, Alrewas Hayes. Arron & Nav contacted us through our website and we then set up a meeting. We met at a local Starbucks near Birmingham. We knew pretty much straight away that Arron & Nav were a couple we really wanted to work with – they were absolutely wonderful. Both were fun and full of life. We are blessed to meet so many nice people in this line of work. Building a rapport and relationship is the foundation of us being able to the best Asian Wedding Videographers we can be. Before filming both their pre wedding party events, we had the pleasure of filming an epic pre wedding shoot trailer at a stunning and private, grade II listed location in Worcester. This highlight video was then played before our wonderful couple made their entrance at their wedding reception. Each and every wedding has a unique vision created through collaborating with our clients. The vision is created by getting to know the couple’s personalities, their likes and dislikes, the colour of their outfits and what inspires them. Our aim is to capture each and every couple’s personalities authentically. If you would like to know more about how we can create a unique vision for you, please contact us. We hope you enjoy their wedding highlights! Looking for the best wedding videographer for your wedding in London and Midlands? We would love to hear about your wedding plans and how we can help you capture your perfect wedding day in our own unique way. As wedding filmmakers we have many years of experience filming at some of the very finest venues in the UK and have experience of filming weddings at Chateau Impney in the past – an ideal location for a luxury wedding in the Midlands. Our wonderful couple Taj & Pav contacted us after coming across our work online and instantly arranged a consultation. We enjoyed capturing all the build up to their wedding events and both their families were an absolute delight to work with and so hospitable. It was an honour to film all of their special events – we hope you enjoy their wedding highlights! What an honour it was to be selected as the Asian wedding videographers For Harpreet & Michael’s Wedding. We were delighted to meet such a wonderful couple and their families. In terms of videography coverage, we covered their Sikh ceremony at Brent Sikh Centre followed by their reception at the beautiful, One Marylebone – a luxurious Grade 1 listed venue in central London. If you have a wedding coming up we would be very happy to provide you with a free bespoke proposal and a consultation. Get in touch via our contact page. We hope you enjoy their beautiful wedding highlights. Presenting the amazing Sikh wedding of Tiran & Gurpreet. Their wedding was held at Guru Nanak Darbar, a stunning Gurdwara in Gravesend followed by their reception at the picturesque Parklands, Quendon Hall. We were booked to film all of Tiran & Gurpreet’s wedding events which included their Civil ceremony in February 2018 and both their pre wedding parties in London. We had a great time filming their special day and hope you enjoy viewing their wedding trailer. The luxury Asian wedding of Pavan & Mandeep’s. We had a great time at this exquisite event and would like to extend our thanks to the couples wonderful guests and family for making this an amazing night of celebrations. We work diligently with our clients to fully understand their requirement and expectations in order to produce the best wedding videography for each exclusive event. Some of our best Indian/Asian wedding videography is captured when the bride and groom are absolutely natural, every shot reflects their personalities and our style. Prior to Gurpreet & Jatinder’s big Indian wedding, we travelled to the stunning Peak District to capture their pre wedding shoot. We used our drone and cinema equipment to film some breath-taking views and we implemented this footage into their wedding video. Gurpreet & Jatinder’s wedding was also featured on Channel 4’s Extreme Cake Makers – Check out their wedding trailer. We met Sanjay & Hanisha in early 2017 to discuss their Asian wedding video & filming requirements. A lovely couple that we connected with immediately; we loved the fact they had already chosen the song for their wedding trailer! Both were very organised and had a clear vision of how they wanted their special day captured. A keen interest in travelling and exploring the world, this globetrotting couple envisioned a travel theme for their wedding that was beautifully executed. We enjoyed capturing the stunning countryside settings & all of their wedding events. We hope you enjoy their luxury wedding film highlights. We can create beautiful shots of the wedding couple but capturing the essence and emotion of the wedding, this is the good stuff. Check out Pavan & Ravnita’s wedding highlights we hope you enjoy it. We had the honour of capturing Innocent & Saria’s fusion wedding in the summer of 2017. An amazing connection between this couple and it was a pleasure to film & document their beautiful events. Check out their wedding cinematography video highlights – captured by our team. A Sikh wedding and reception captured by our team in Spring 2017. Check out Balle & Raj’s cinematic wedding highlights. A fairytale wedding at the enchanting Keythorpe Manor. Prajat & Neelam were a true delight to work with and put on a spectacular wedding with some of the finest suppliers in the wedding industry. Check out their wedding highlights. Krishna & Urvesh’s beautiful events were captured at the scenic Coombe Abbey in Coventry. The day started with a Hindu wedding ceremony followed by an evening reception. We enjoyed flying our drone over the Abbey, capturing some stunning aerial footage during their couple shoot. We hope you enjoy their highlights. We had a great time capturing Suman & Jasbinder’s wedding events in London at the start of Spring 2017. The Sikh wedding ceremony was held at Gurdwara Karamsar Illford followed by a huge reception party at Parklands Quendon Hall in Essex. It’s always a pleasure working alongside our friends at Sikh & Dread Photography. Luxurious setting for Max’s 1st birthday, held in Central London at the stunning Mandarin Oriental Hyde Park. A classy, black-tie event held at one of London’s most celebrated five-star hotels, exuding an enticing mix of elegance and luxury. Another beautiful wedding captured by The Video Hub team. Daniel & Sabrina’s wedding events were held at exclusive countryside venue – Alrewas Hayes in Staffordshire. We had the pleasure of capturing Manpreet & Sharn’s special day. The marriage ceremony was held at Willenhall Gurdwara with the reception party at Royal Banqueting Suite. We had a great time traveling to Yorkshire to capture Jas & Sav’s special day. It was a pleasure meeting and working alongside Leeds based photographer Gurj Panesar. What a party this was! Thanks to Baldeep & Gursharon for booking us to capture their wedding events. It’s always great fun working alongside Shevy Sandhu & his team. Hagley Hall was the setting for Maninder & Manpreet’s Asian wedding reception. Their wedding ceremony was held at Guru Nanak Sikh Gurdwara Sedgley Street. An amazing couple to work with. The wedding of Sunny & Sabrina, set at Aston Villa football ground, a truly great couple to work with who know how to party! An incredible, uniquely designed coastal wedding venue in Devon – Tunnels Beaches. This was the amazing setting for Charlotte & Dan’s big day. Check out their beach wedding. Surjit & Tommy had their wedding celebrations at Ramada Park Hall in Wolverhampton. Their Sikh wedding ceremony took place at Pleck Gurdwara Walsall. Taj & Gurdip booked us for their wedding events after discovering our work on The Video Hub’s Facebook page. Their marriage ceremony took place at Guru Tegh Bahadur Gurudwara Leicester with a stunning, 3000 acre park as a backdrop for their reception party at Woburn Abbey. Ashley & Daljit’s special day was filled with emotions. This lovely couple came across our work on Instagram. It was an absolute pleasure working with these two from our very first communication. An emotional journey for Daljit, captured by our team – check our their beautiful highlights. The Video Hub teamed up with Shevy Sandhu Photography to capture Sanj & Indy’s wedding events. The Sikh ceremony took place at Guru Nanak Gurdwara Sedgley Street with the grand reception party at Coombe Abbey. A great couple to work with. The lovely Hardeep & Sinitta’s wedding captured by our team. Always a pleasure working alongside Satpal Kainth Photography. Niraj & Rohini started as clients and became dear friends. An amazing couple who’s wedding was held at Edgbaston Cricket Ground. Thanks to both families for their amazing hospitality. Capture by our team for the lovely Gurmukh & Maninderjit. From Harrogate in Yorkshire to The Fairmont in Scotland – we had the pleasure of capturing the celebrations for the lovely Sunny & Parminder. A truly lovely couple, thanks to Pal & Jyoti for being a blast to work with. Their wedding events were held at The Belfry. Sunny & Sunita had their Hindu wedding ceremony at the Gujarati Sitara Hall Wolverhampton and enjoyed their reception party at The Venue in Dudley. What an incredible privilege this was! We were honoured to be selected as the official film team to capture the luxurious and prestigious – Asian Awards. We had the chance to work with some huge names in the entertainment industry such as Shah Rukh Khan, Zayn Malik and Russell peters to name a few. Check out our work from this memorable event which was held at Grosvenor House Mayfair in London. Niraj & Rohini had their civil wedding at Ramada Park Hall. An amazing couple to work with. 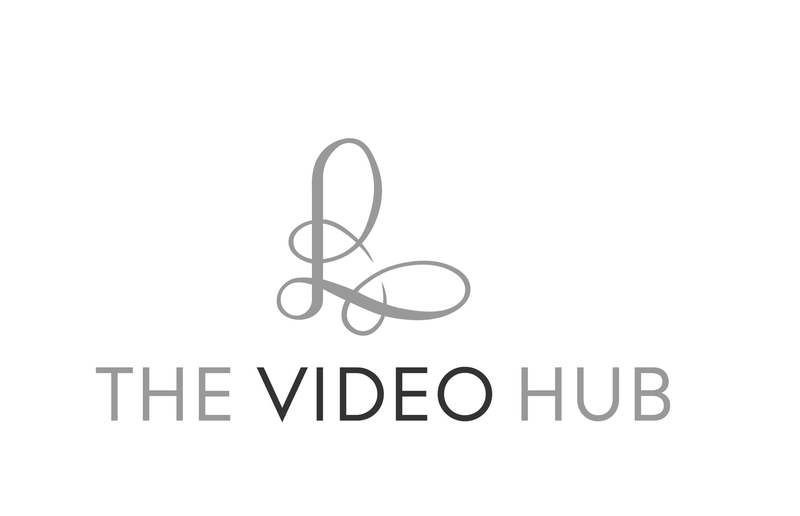 We are The Video Hub, providing cinematography coverage throughout the UK & abroad. Presenting our very first film for the lovely Aman & Raji. Destination wedding set in Valencia.